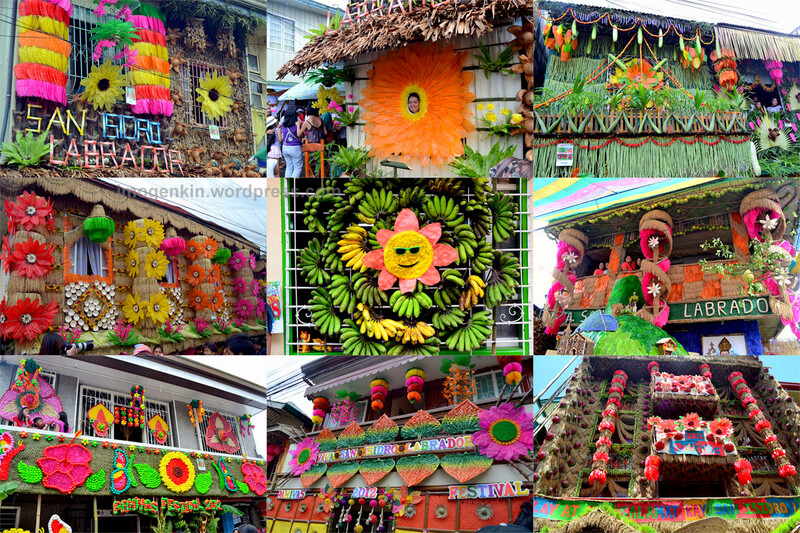 Pahiyas Festival is a colorful feast celebrated every 15th of May by the people of Lucban, Quezon in honor of San Isidro Labrador. 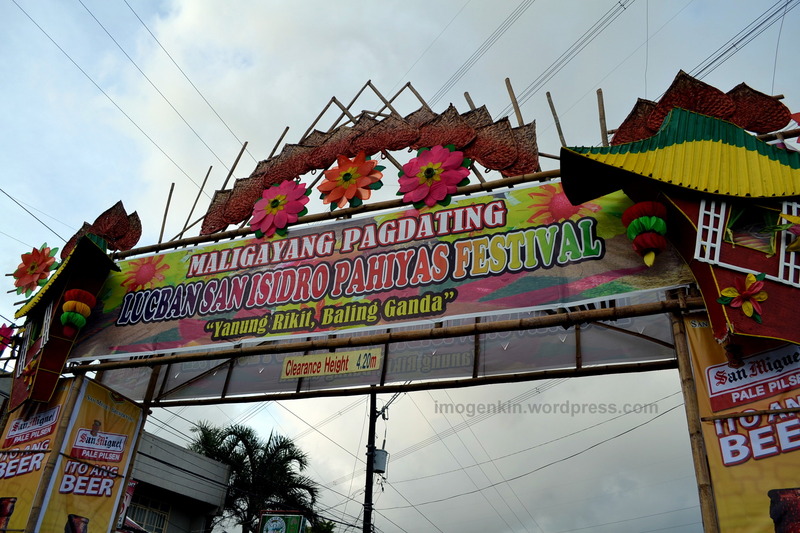 It is the farmers’ thanksgiving for a bountiful harvest with a grand display of colorful rice wafers, fruits, vegetables, and handicrafts adorning every house in the town. This year, we have decided to take part with the celebration. 🙂 Took us a little more than 4 hours drive from Cavite to Lucban, around 6:30 AM the car is parked and we’re ready to go! The weather was a little off the whole morning. It will rain for five minutes then there is sunshine the next. Still, that did not stop us and all the other tourists and locals to roam around and enjoy the sight. The decorations are really impressive. Overwhelming colors (good thing), creativity and resourcefulness are all you will see around the streets. The attention to detail is also incredible. You’ll get surprised on which material they used and how they made those into a beautiful work-art hung outside their houses. Some houses let people go up their houses to take photos from the window. Sayang walang free food. 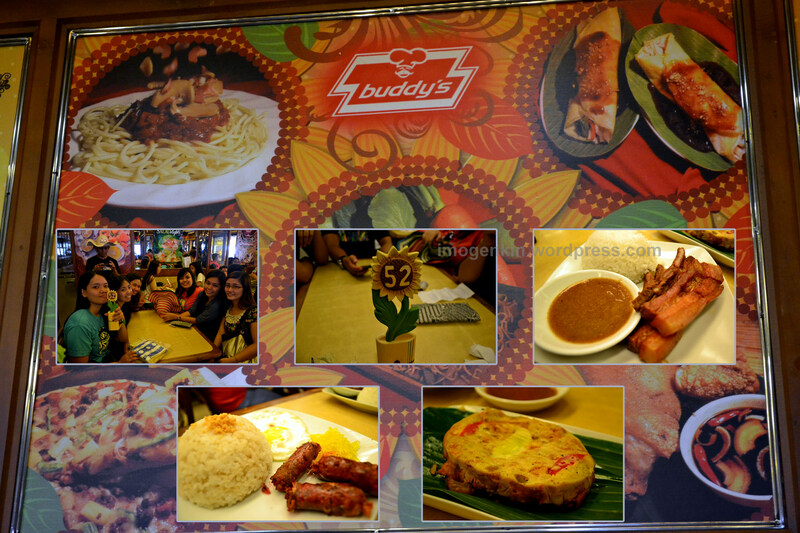 Hehe And since we have been walking around for around 5 hours, it’s time for lunch Lucban style.We went to Buddy’s, a local restaurant whose specialties are of course Lucban delicacies. As expected, the place was jam-packed but good thing they have good and organized service. In the afternoon, the parade was the most anticipated event. It was a showcase of more artistry of Lucban locals. 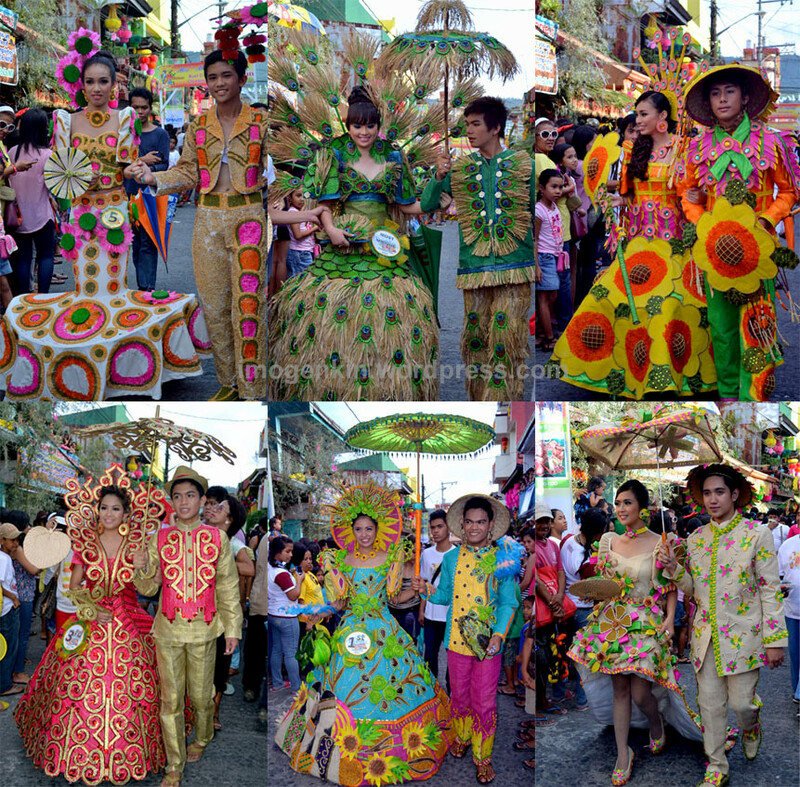 There was a “Parikitan” where gowns made from kiping are worn and modeled for the crowd. 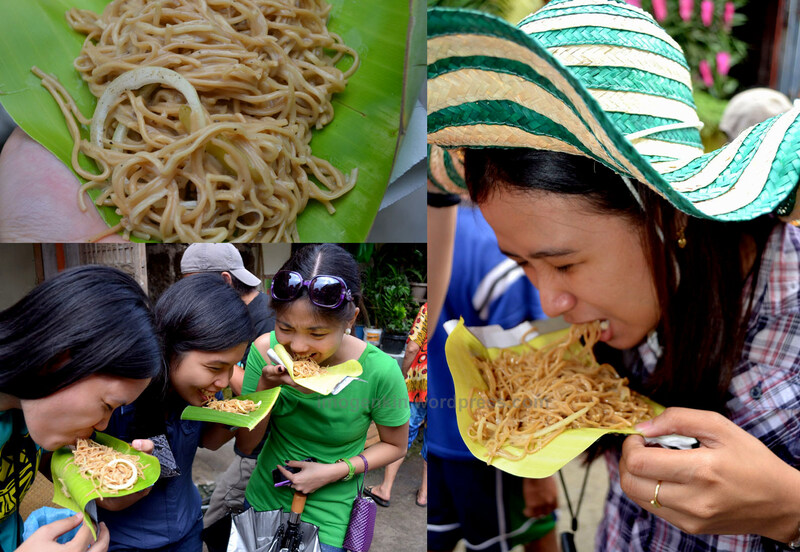 There was also a Pancit HabHab competition on cart and floats. And lastly, carabaos and horses on parade which are farmer’s main helper for harvesting. We went to Cubao yesterday to drop off shirts for printing then detoured to Greenbelt. Main purpose is to finally get the Vans siders that I have been eyeing on, but unfortunately my size is not available. So we then headed to decide what to have for dinner. 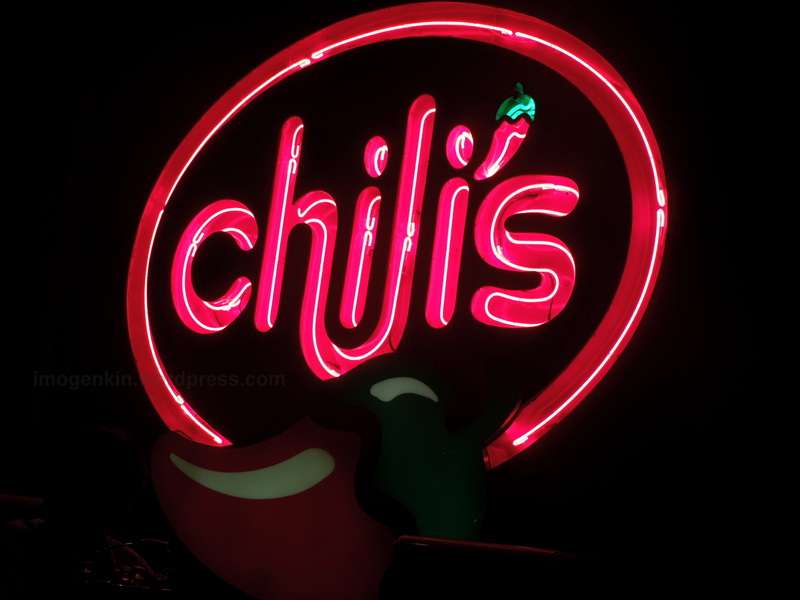 I have my ever reliable Sodexo passes with me (haha) so our choice of dinner is Chili’s. Those are as per their menu. I have nothing against the food but I find them so-so. Nothing really to jump up and down about. 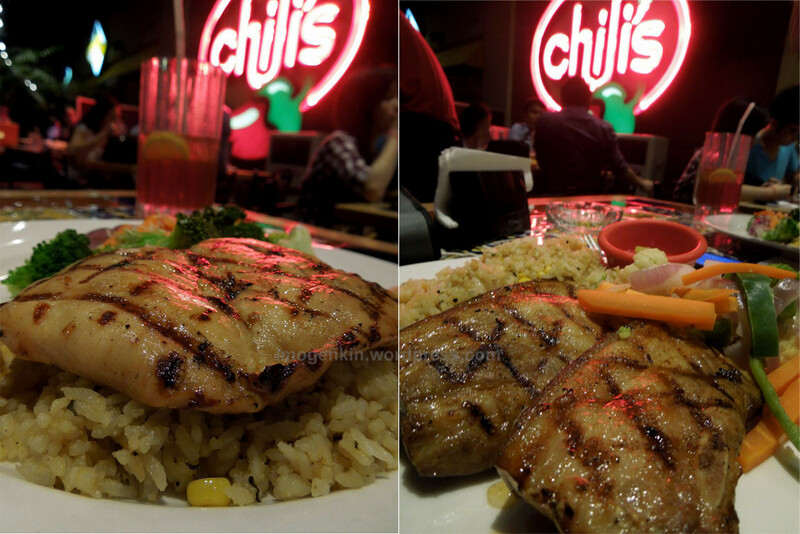 Yes, the pork that I had was tender and with generous serving but I find it comparable to grilled food on cheaper restaurants. I think I would have enjoyed more if we had the Bottomless Tostada Chips as well. hehe The bottomless lemonade made up for it though.